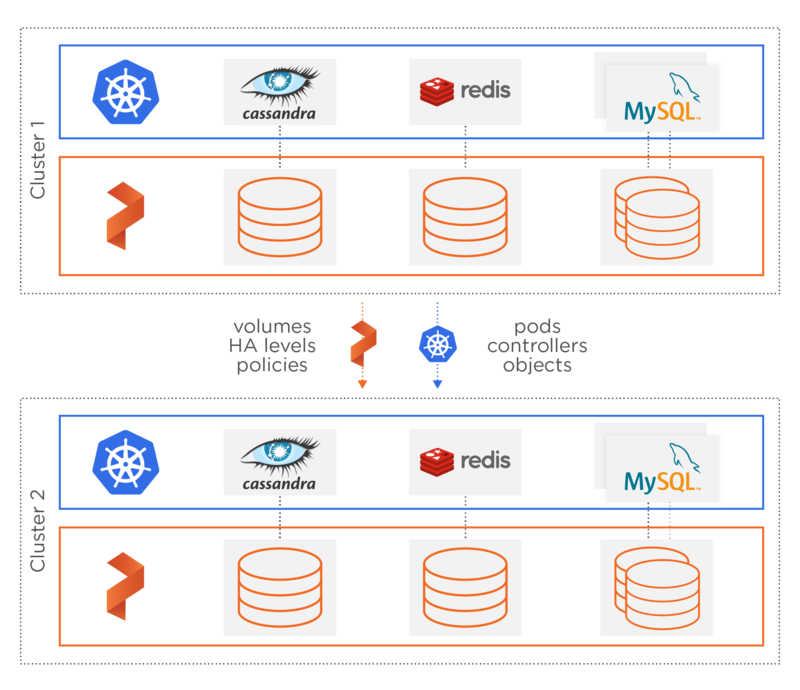 Now your mission critical data is as easy to manage and automate as the rest of your Kubernetes app. Portworx solves the five most common problems DevOps teams encounter when running database containers and other stateful services in production. To be useful, containers must be portable. But data has gravity, and moving a stateful app like a database between servers, let alone data centers is a challenge not addresses natively by container platforms. Thanks to PX-Motion™, Portworx makes your data as portable as your stateless containers, making the promise of multi- and hybrid-cloud computing a reality. HA for all of your databases and stateful containers. When a server fails, your database container can fail with it. Mitigating failure with custom hardware is expensive (not to mention anti-DevOps), while database-driven replication can be time-consuming and impact performance, especially as the cluster rebuilds. Portworx aggregates servers, SANS, and clouds. apps will be automatically deployed on the best storage for their performance and capacity needs. With Portworx, your scheduler of choice + our container-granular replication mean that losing a node or disk in your cluster doesn’t mean downtime or degraded performance. Portworx’s persistent storage layer automatically spans hardware racks and availability zones so you can run databases and stateful applications uninterrupted by hardware failures and public cloud outages. Managing data comes with special requirements, from specific regulatory issues to simply maintaining customer trust. Portworx lets you move at DevOps speed while maintaining your apps’ security requirements. 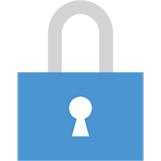 Portworx provides highly secure, key-managed encryption for container volumes that integrates with popular key management systems like AWS KMS and Hashicorp Vault. Encryption can be applied to any application and is independent of the cloud infrastructure. Portworx provides access controls and security for data at rest as well as data in flight. Move fast, but move securely. 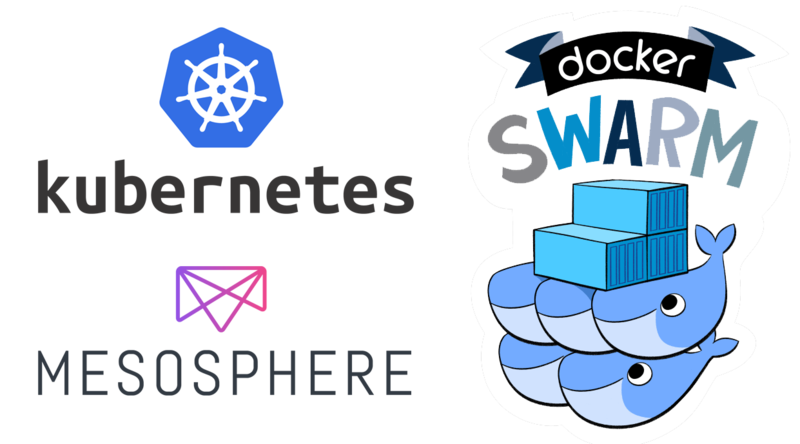 Manage your data layer with Kubernetes, Mesos, and Swarm. Your DevOps team can’t wait days or weeks for container volume storage provisioning just to deploy their applications. 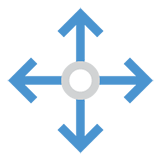 Portworx makes your stateful containers as easy to deploy and manage as the stateless parts of your app. Portworx solves the persistent container data volume automation challenge with deep integration into the leading container schedulers so you can build, ship, and run reliable data services at DevOps speed. Whether it’s containers with Docker, pods with Kubernetes, or apps with Mesos, Portworx lets you run stateful workloads natively from your scheduler of choice. Portworx is lightweight to install and can be deployed as a container with your scheduler or DevOps tool of choice, including Terraform, Ansible, and Chef. Once deployed to your Kubernetes, Mesos, or Swarm cluster, Portworx automatically assembles storage resources and provides container-granular volumes to your applications. Consistently manage any database on any infrastructure. Gone are the days of running everything on an Oracle database managed by a dedicated team of DBAs. Now, DevOps teams must be able to consistently manage a broad mix of SQL and NoSQL databases queues, key-value stores, as well as other stateful services like Jenkins. Plus, they need to be able to do it in any environment thrown at them: AWS, Azure, Google, VMware, and bare metal. Portworx solves the operational challenges of managing container volumes for any database or stateful application, no matter where it resides. Run databases like PostgreSQL and Cassandra; process streams using tools like Elasticsearch (ELK) and Kafka; and control your own CI/CD pipeline with Jenkins. Portworx runs on any infrastructure to automatically combine storage resources and provide them as container-granular volumes to your applications. You don’t need slow, expense storage infrastructure to run enterprise-class apps. Portworx fingerprints your disks and IOPS on every node, automatically carving out the right persistent storage for your app. Our customers are some of the largest and most innovative companies on the planet. See how they did it. See for yourself how Portworx provides persistent data services for stateful containerized apps.